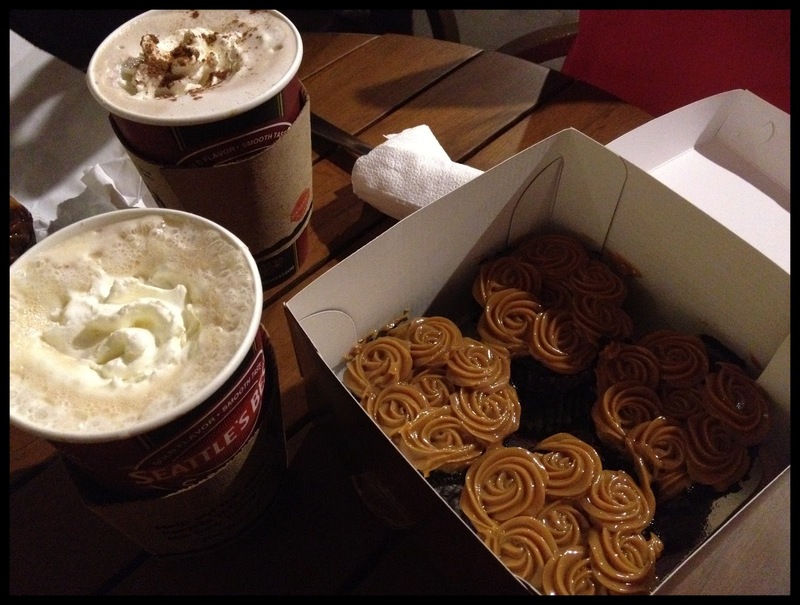 We were craving something sweet after our late dinner last Saturday, and since Slice was only a few steps away, we decided to grab a couple of cupcakes before heading to a coffee shop (Slice was too crowded). Now, on my first visit which I wrote about here, I already mentioned how ridiculously expensive their drinks were. 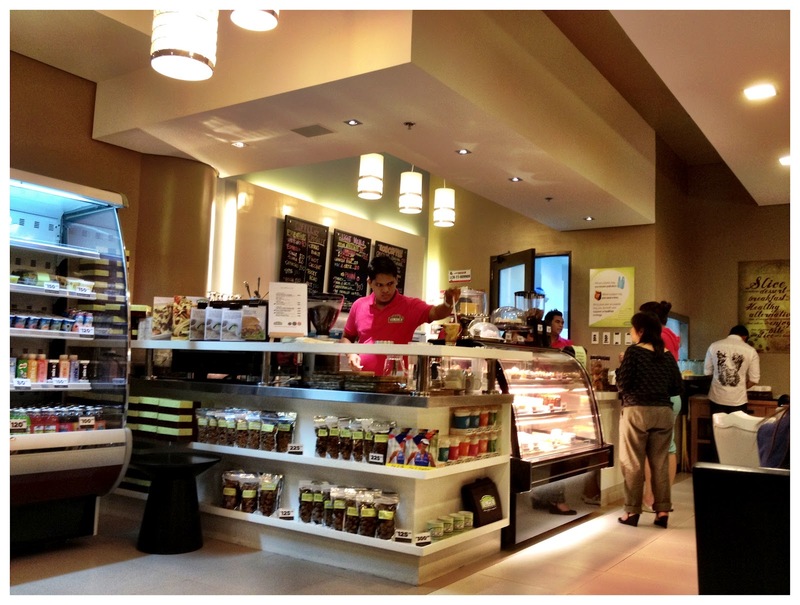 Hubby, on a separate occasion, also noted that their cheesecake cost way too much – Php290 a slice, which becomes Php 300+ when you get to the counter, where they charge you with 10% service charge. But imagine my surprise when, after ordering four of their yema cupcakes, the lady at the counter informed me that I would be charged Php10 for a box. Huh? Say what? I was so caught off guard I could only mumble an “It’s okay” because really, how was I going to hold those cupcakes? And it’s not like they’re usual muffins or cupcakes which can be put in plain paperbags without having to worry about how messy they’d become. Imagine if Starbucks or Coffee Bean or any of your favourite cafes/dessert stations started charging for their take aways. 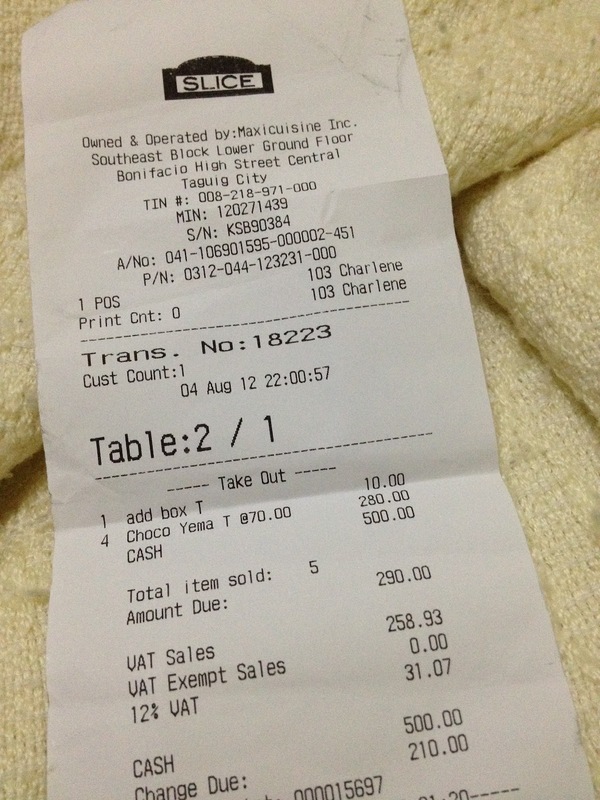 See that Php10 charge? And if you do stay to eat, they will bill you service charge. Talk about a money-making venture. Talk about being robbed upfront of your money. Slice of heaven? Na-ah, more like a slice right out of my pocket. While I love their cakes, it is just too ridiculously priced.